This is going to be a colorful fun class that will introduce students to a monotype printing process that is done on a surface made from gelatin. 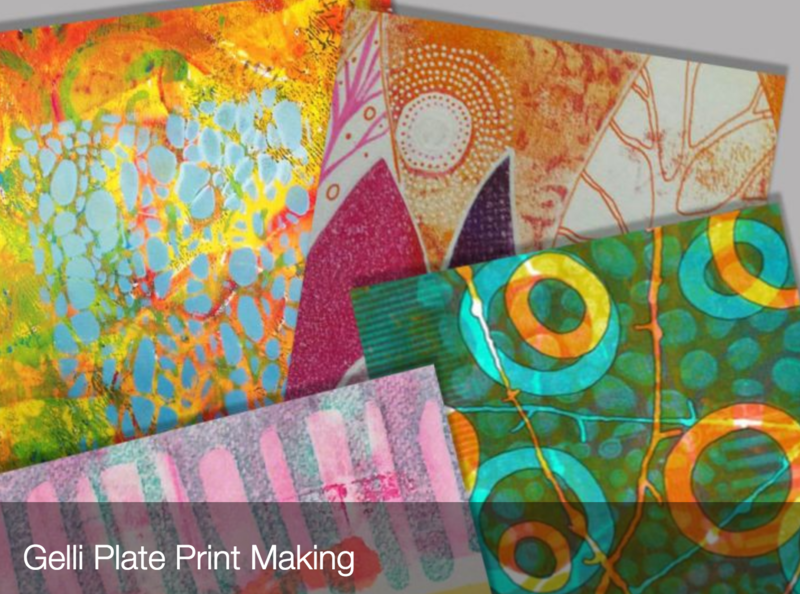 Using layers of acrylic paints and a variety of types of paper and texture beautiful prints are created. Every print created is original and every print is different. Come prepared to be come addicted. Finished prints are wonderful in journals, mixed media projects, greeting cards, ATC’s and more. The sky is the limit on the fun that will be had creating these prints.